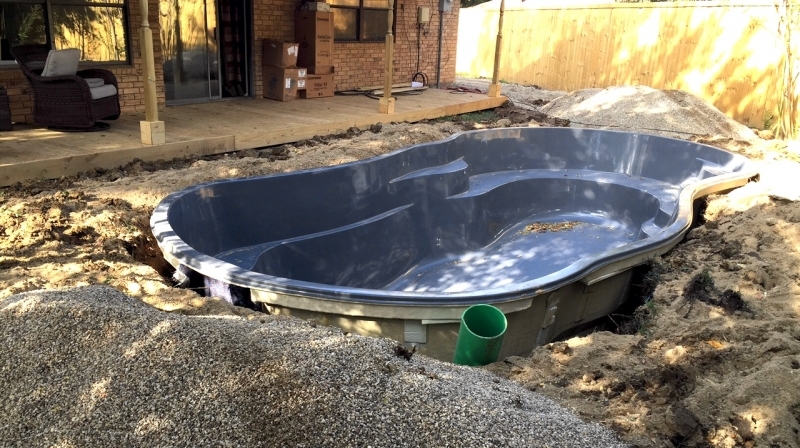 If you’ve been thinking about challenging your DIY skills and installing an in-ground pool this summer, consider first whether or not your time, effort (and talent) might be better served on different parts of this kind of project. Every year, 175,000 to 200,000 new pools are built. The average cost of a professionally installed pool runs from $10,000 to $30,000 depending on the size, shape and type of pool you choose. Customers typically spend another $10,000 – $20,000 on all the pool related items; additional landscaping, decking, furniture, lighting and fencing – the kind of projects you can really sink your teeth into. While working with a backhoe might be your idea of a great weekend, leave that part to the pros (as well as dealing with on-site soil and rock issues). Let the pool company determine county, local and neighborhood restrictions as well as HOA (Homeowners Association) rules, which leaves you to focus on the fun stuff that comes along with a pool. Concrete lined – While the most expensive, they are durable and can be updated if you want to expand. Can take from 3-12 weeks to install. Vinyl lined – A preformed flexible liner that comes in a variety of colors and textures and takes 1-3 weeks to install. Sharp objects can puncture them so be sure to choose one at least 1-inch thick. Fiberglass – One-piece units that have a super smooth finish and are stain resistant. They are trucked to the site so delivery will affect installation time. A crane needs to lift the pool into place so make sure the equipment has access. A professional pool installer will know what type of pool works best in your area. Freezing and thawing causes pool materials to expand and contract. Fiberglass and vinyl pool liners can handle the cold weather better than concrete pools. The professionals will make sure the pool is level and the bottom is smooth, not sitting on rocks that can puncture it. How Will You Use Your Pool? If family fun is your goal, skip the deep end and the diving board. Most pool activities take place in the shallow end so why not use a third of your pool? Want to swim laps? Cut down on the overall size and install swim jets for resistance. Knowing how you’ll use the pool will determine the right one for you. Fencing – Safety laws require owners to install a fence at least 4 feet high with self-closing/latching gates around a pool. A deck or patio – You will need a place for everyone to gather. Outdoor lighting and outlets – Consider adding a sound system. Landscaping – Add new pathways, sod and plants when construction is finished. Storage for pool equipment and accessories – You need somewhere to store pool supplies and toys, especially in the off season. A whirlpool or sauna – A smaller undertaking than installing a pool but still something your family would enjoy. Add shade – Install an awning over your patio or deck. Maintenance – Rather than sign on for monthly service, you can adjust the chemicals yourself. Pools may be a big investment and require regular upkeep, but they can also add plenty of quality time with your family and friends. Do your research and decide what kind of pool works for you. Let a professional handle the hard stuff, while you take care of everything else. Before you know it, you will be chillin’ poolside! Is your new pool lacking in the entertainment area? Learn How to Construct a Poolside Bar for a DIY project that is sure to get the party started. From bobcats and backhoes to trenchers and plate compactors, our expert staff is always on hand to help you get ready for your next summertime project. As always, if you have any questions about pricing or how-to’s, don’t hesitate to contact us. Stop by our store — we’re open seven days a week. The first day of fall is about a week away (September 23 this year), and it may seem like finishing all the things on your DIY-do list seems impossible. We’ve put together a list of our most popular equipment rentals for fall – “fan favorites” that’ll help you complete those projects in no time (in no particular order). Aerator/ Plugger – Fall is prime time for treating your lawn to a little TLC. By aerating, you help keep the soil from compacting and strangling the grass roots. Our blog on fall lawn care will show you why an aerator is a lawn’s best friend. Slice Seeder – If your lawn has thinned over the summer, then a slice seeder will help you bring it back to its “greener” self. As its name suggests, a slice seeder slices through the turf, creating furrows for seeds. The dirt that it kicks up buries the seeds, eliminating a need for straw or top soil. Learn more about this effective machine in our article, Improve Your Existing Turf with Slice Seeding. Tiller – Now that you are wrapping up your summer garden and flower beds, don’t forget to give back to your soil. Tilling helps to oxygenate the soil and mix in organic materials. Our post, Time to Till it Up, can help you decide if a tiller is in your future. Chainsaw – A chainsaw can make easy work of trimming trees or removing any that have died. We run through some handy tips on cutting down trees and using a chainsaw in this blog. Chipper – When removing a tree, what to do with the debris is always a consideration. We suggest using a chipper. You will eliminate the yard waste and get back mulch in return. We review different types of chippers in this article. Check it out. Log Splitter – While a chainsaw is handy for taking down a tree, a splitter will cut up the larger sections of a downed tree into usable pieces for your fireplace. Our blog post on repurposing yard debris for your fireplace may light a fire under you to rent one of these. Stump Cutter – Cutting a tree down and grinding up the debris is usually step one of the process. There is always a stump left to deal with. A stump cutter will break up the tree base and roots so that they are easier to remove. That’s why this piece of equipment is listed as one of the Essential Yard Tools for Your Fall Maintenance. Auger – Fall is an ideal season to plant trees and shrubs. In our post, Garden To-Dos Pt 3 – Planting Trees and Shrubs, we discuss how augers make digging holes for planting trees and other plants so much easier. Bobcat/ Dingo – Ever had to transport endless loads of dirt, gravel or mulch from your driveway to the back of your house with a wheelbarrow? You swore never again. What you need is a bobcat. From hauling to excavating, this is the “Swiss Army knife” of maintenance tools due to all the attachments available. 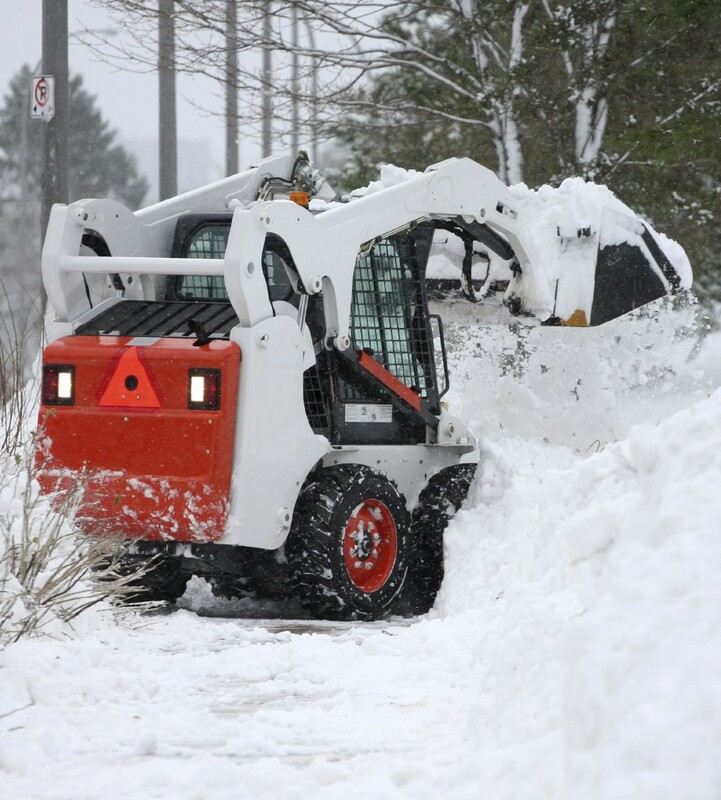 We outlined how to use a Bobcat in our blog, How to Safely Operate and Maneuver a Bobcat. Boom Lift – For jobs that are too high or too dangerous for traditional ladders, the boom lift should be your choice. It will safely deliver you and your materials to the height you need. See how one of these can help on your projects in the article, Versatile Uses of Boom Lifts. By selecting the right tools and equipment to do the job, your to-do lists don’t have to be so overwhelming – they can actually help you tackle your projects in record time. You may be able to add even more items to your list! On further reflection, taking one’s time while doing home improvements can also be seen as a virtuous endeavor. Food for thought, folks, food for thought. 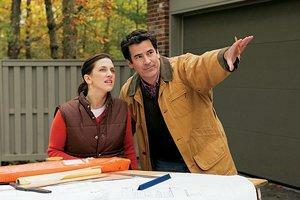 Our expert staff is always on hand to help you with all of your DIY home improvement projects. If you have any questions about what to choose, pricing or how-to’s, don’t hesitate to contact us. Stop by our store — we’re open seven days a week. One sure way to add a beautiful focal point to any landscape is to introduce a water feature. What about building a backyard pond? It will not only add diversity, it attracts beneficial wildlife. Adding a small pond with trickling water is an easy weekend project, plus you and your family will enjoy it for years to come. 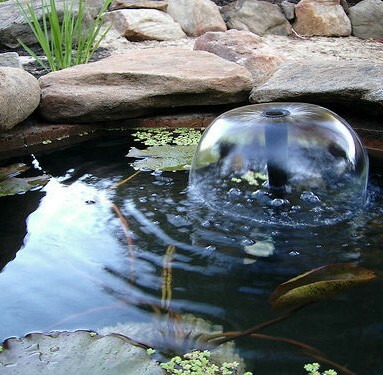 To get the maximum enjoyment from your pond, keep it close to your home. You want to see and hear it from your windows or patio area. Because you need electricity for the pump, keep the pond within close proximity to an outdoor outlet. Most pumps come with a 24-foot power cord; any further than that and you will need to extend your power lines. Ponds need sunlight to support beneficial wildlife and they prefer partial daily exposure. Too much sun can warm the water too much and allow algae to thrive. Avoid positioning your pond near large trees. Roots can damage your lining in their quest for moisture. Besides, fishing leaves out of your pond all the time is no fun. Do you want a fish pond? You and your family may enjoy taking care of fish. However, they will need to be fed daily and the pond filter will need to be cleaned or changed regularly. It’s a decision to make before committing to be “fish parents.” If you commit, build in water depth to the pond, which is more critical than circumference. You need to dig a minimum of 18 inches for goldfish and three feet for koi in order for them to survive the winter. Consider adding a waterfall to your pond. Keeping the water moving and aerated helps keep algae in check and prevents mosquitoes from laying eggs. Flowing water also attracts birds and other interesting wildlife. Plus you benefit from the soothing sounds yourself. Now that you’ve decided where and how large of a pond you want, it’s time to call 811 to have someone come out and determine where underground gas and electrical lines might be. Once you’re clear of that, it’s time to start digging. Mark the outline – form the shape you want with twine or landscape paint. Excavate the area – if you are going for a lovely large water feature you may want to consider using a Bobcat or an excavator to make your digging easier. Create a 3-inch wide area around the outside of your outline for the stone border. Create a 1-foot wide shelf around the inside of the outline for aquatic plants. It should be about 8 inches deep from the edge of the pond. Dig the bed of the pond a minimum of 18 inches deep, sloping slightly in creating the walls. 4) Dig a trench back to the power supply – this should be close to the deepest part of the pond since that is where the pump will go. 5) Add an overflow trench at one end of pond – It should be about 6 inches wide and 1 inch deep to help channel overflow caused by heavy rains away from your pond. 6) Prepare the Base – Add a 1 inch layer of sand followed by a 1/2” layer of newspapers around the entire base of the pond and terrace areas. The newspaper will help protect the liner from punctures. 7) Line the Pond – Use a polypropylene flexible liner that can withstand UV rays, freezing temps, and is rated “fish friendly”. Cut the liner about 4 feet wider and longer than the pond dimensions. Center the liner in the pond and press it down, pushing tightly into the crevices. 8) Fill the Pond – Begin adding water to the pond using a garden hose. While the pond is filling up pull the liner tightly to help remove creases. Get someone to help with this so that the extra liner you’ve left over the pond edge will not shift. 9) Install the pump – Thread the power cord through a PVC pipe and place it in the trench leading back to exterior outlet and backfill. Place the pump in the deepest section of the pond while holding onto the other end of the hose. 10) Create a Rock Border – To hide the liner edge place rocks around the perimeter. The rocks need to interlock so they will not be loose and cause a safety hazard. Create easy access for wildlife by extending some of the rocks into the shallow water. Landscaping inside and around your pond is important for completely the look of your water feature. It helps to attract wildlife like birds and butterflies, and looks pretty to the human eye, too. To jump start your pond’s ecosystem add a bucket of water from a nearby natural water source. It will introduce millions of organisms and help keep your pond’s health in balance with nature. Our expert staff is always on hand to help you with your landscaping projects. From Bobcats and excavators to shovels and wheel barrows, if you have any questions about what to choose, pricing or how-to’s, don’t hesitate to contact us. Stop by our store — we’re open seven days a week. A compact machine used for digging, the skid-steer loader also pushes, pulls and lifts material. Popular for use in building, construction, landscaping and farm work, the skid-steer loader is a lighter machine that can maneuver better than a typical tractor front loader, making quicker work of manual labor jobs that would take more time and effort without equipment. They also have a number of attachments, including different types and sizes of buckets, backhoes, forks, hammers, brooms, and augers that help with the machine’s versatility and performance. Learning how to maneuver properly in a Bobcat starts with examining the terrain, checking the work area for hazards overhead, like power lines. The trick is to not get stuck or roll the machine over. Do not drive over too-rough ground or into soft, soggy soil, and avoid creeks, ravines and steep banks. Make no sudden stops, starts or turns, and move along at a speed that is appropriate for the existing conditions and visibility. Drive up and down slopes with the bucket lowered. Drive across slopes, and you could tip the skid-steer loader over. Dump material by driving around a fence rather than dumping over one to avoid operator injury. Aim for keeping a Bobcat skid-steer loader in a balanced position. A Bobcat carries two-thirds of its weight on the rear axles when empty. A full load transfers that weight and the machines balance to the front wheels. Always move with the arms and bucket lowered for maximum stability. When negotiating slopes, keep the heaviest end of the Bobcat pointing uphill to reduce the risk of turning the Bobcat over. Our expert staff is always on hand to help you with moving projects. We rent the entire line of Bobcat® Skid-Steer Loaders and attachable buckets. If you have any questions about what to choose, pricing or how-tos, don’t hesitate to contact us. Stop by our store — we’re open seven days a week.